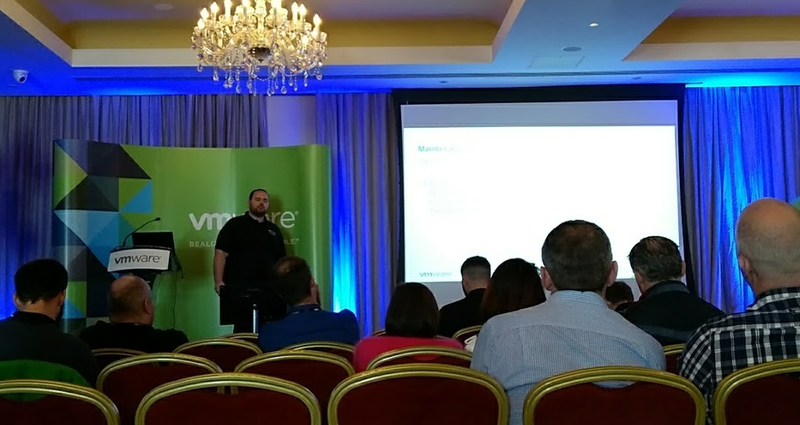 Last week myself and Erwin had the opportunity to attend the VMware Technical Support Summit in Cork, Ireland. This is a 2 day event hosted by GSS which is technically oriented. Many interesting sessions by some of the best GSS technical talent, and various breakout sessions to get near one-on-one time with engineers and product leaders. As you can see by the schedule below, it was a wide array of product fields and the technical depth varied between good and amazing. I was especially blown away by Valentin Bondzio’s talk about CPU accounting in the hypervisor. Technically extremely interesting! He dove extremely deeply into CPU metrics and what ‘idle’ and ‘use’ really mean from an architecture point of view, and how hyperthreading changes the game. 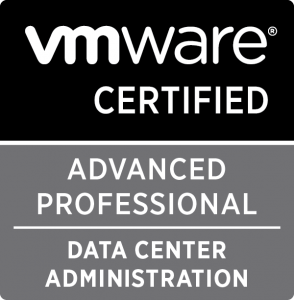 This was especially gratifying as I have worked with him on a case for over a year that tackles exactly that aspect of hypervisor performance. The team that support Airwatch gave a very interesting talk that was relevant to a project I am working on. So afterwards I grabbed all 4 of them into a conference room at the hotel, to discuss our VDI and mobile management design ideas. Extremely valuable opportunity as I bet I will be talking to these guys more in the future! They also very graciously dropped me and Erwin of at our Hotel afterwards, and then drove us to the city center, where VMware hosted drinks and dinner with live music, which was quite entertaining. I had gently badgered various VMware contacts about seeing if we could get a visit of the actual VMware campus, and eventually Mark Fitzgerald himself very graciously drove us over to the VMware office campus and gave us a a personal guided tour of all the GSS offices, which was a great great experience. 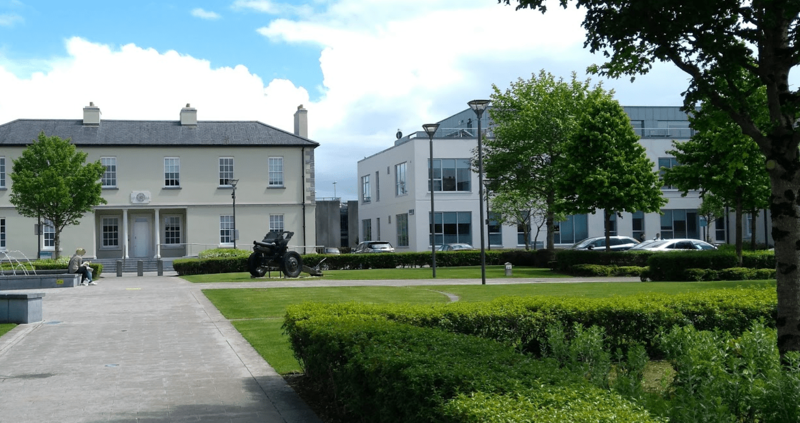 We got to meet every Cork GSS team and even visited the test lab including the folks who run that. It was great to put voices and names to faces and to get a real sense of the environment that these engineers work in. 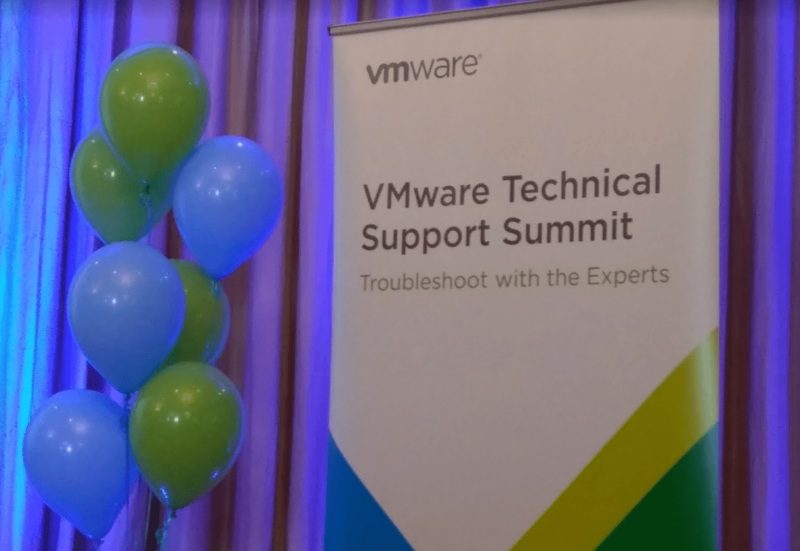 Sometimes support engineers are faceless and nameless, but VMware seems to breath a very human and supportive culture that was much in evidence throughout the campus. 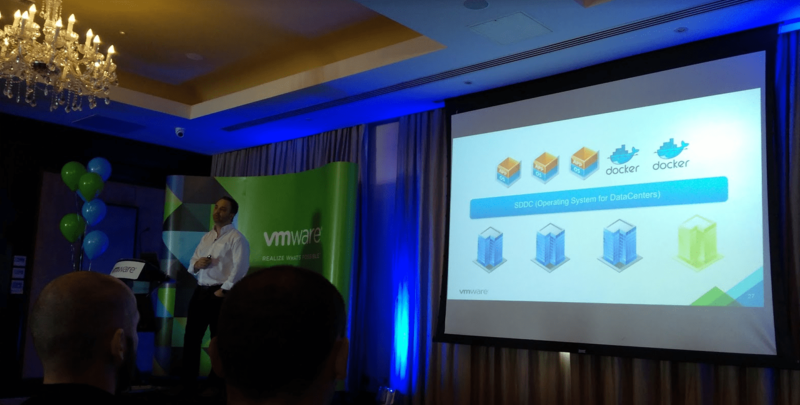 I would much like to thank the entire VMware Cork team and all the GSS engineers for putting on a great summit. And a special thank you to Danka for showing up in the middle of her time-off, just to say hi. 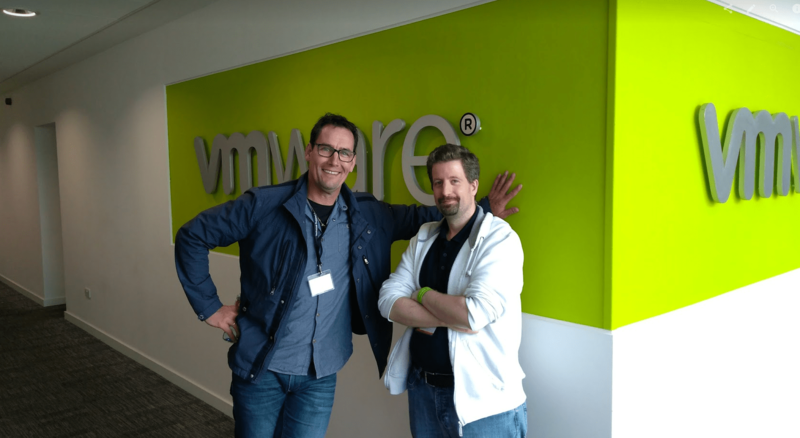 Much love to VMware’s best escalation manager!